discriminant function analysis. Unless prior probabilities are specified, each assumes proportional prior probabilities (i.e., prior probabilities are based on sample sizes). 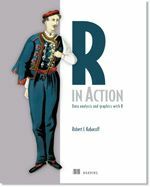 In the examples below, lower case letters are numeric variables and upper case letters are categorical factors. The code above performs an LDA, using listwise deletion of missing data. CV=TRUE generates jacknifed (i.e., leave one out) predictions. The code below assesses the accuracy of the prediction. 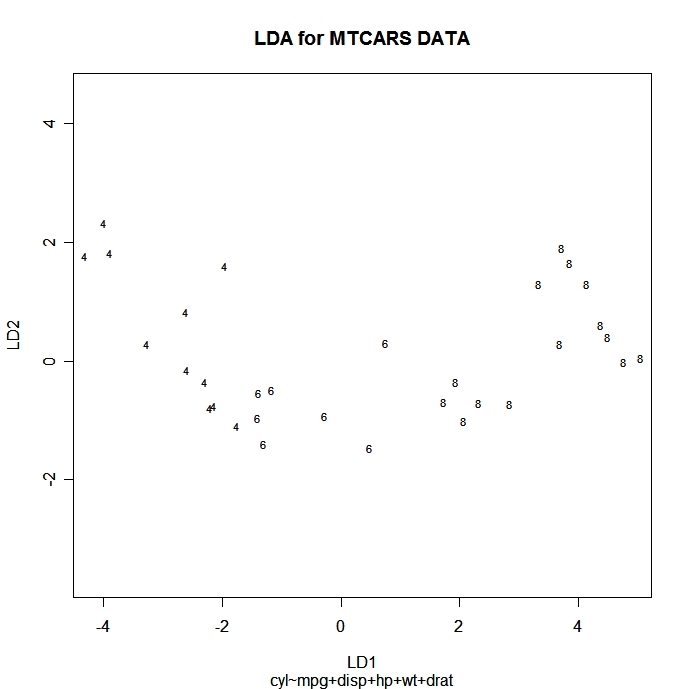 lda() prints discriminant functions based on centered (not standardized) variables. The "proportion of trace" that is printed is the proportion of between-class variance that is explained by successive discriminant functions. No significance tests are produced. Refer to the section on MANOVA for such tests. To obtain a quadratic discriminant function use qda( ) instead of lda( ). Quadratic discriminant function does not assume homogeneity of variance-covariance matrices. # resubstitution prediction and equal prior probabilities. Note the alternate way of specifying listwise deletion of missing data. 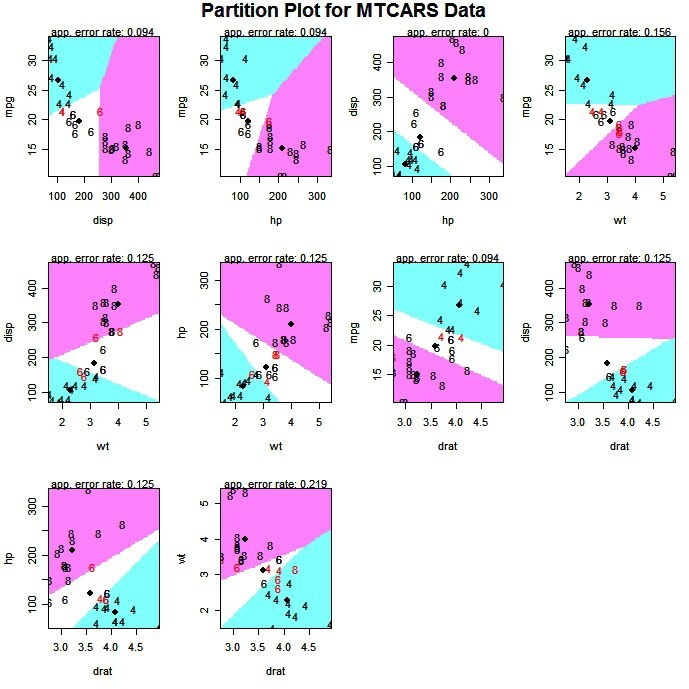 Re-subsitution (using the same data to derive the functions and evaluate their prediction accuracy) is the default method unless CV=TRUE is specified. Re-substitution will be overly optimistic. You can plot each observation in the space of the first 2 linear discriminant functions using the following code. Points are identified with the group ID. 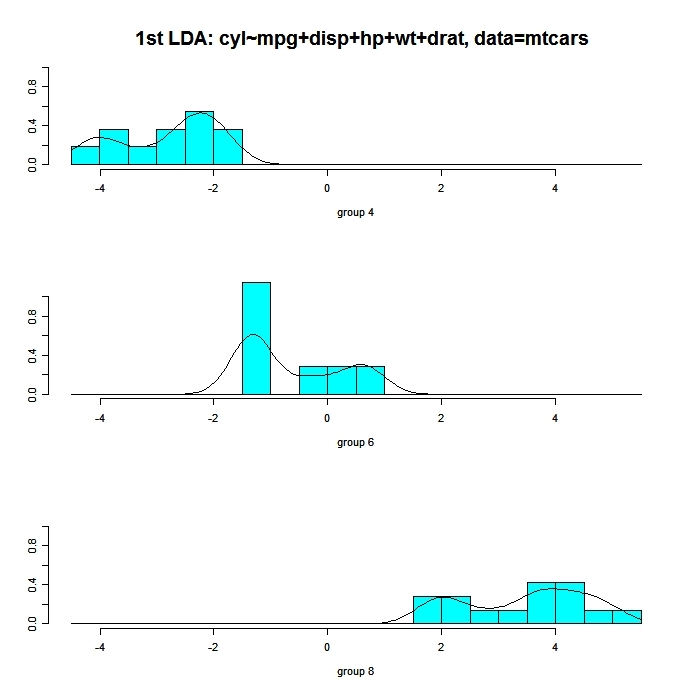 The following code displays histograms and density plots for the observations in each group on the first linear discriminant dimension. There is one panel for each group and they all appear lined up on the same graph. The partimat( ) function in the klaR package can display the results of a linear or quadratic classifications 2 variables at a time. 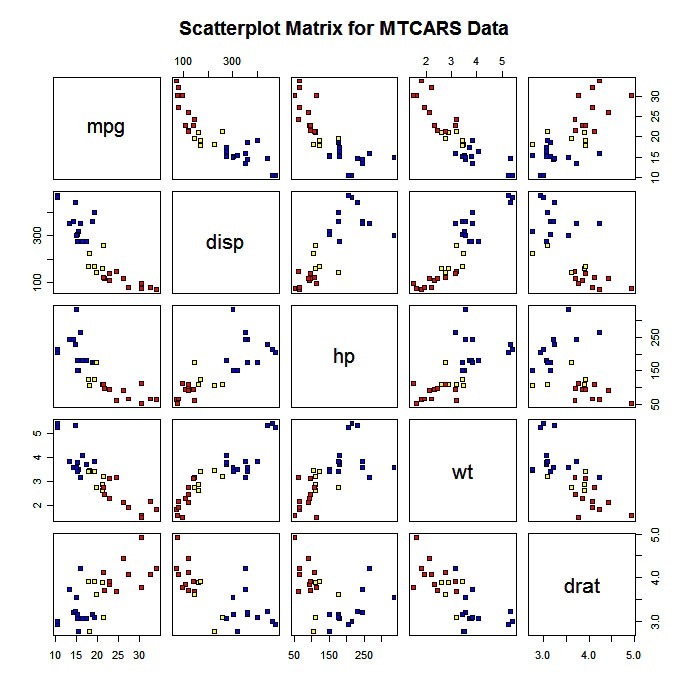 You can also produce a scatterplot matrix with color coding by group. See (M)ANOVA Assumptions for methods of evaluating multivariate normality and homogeneity of covariance matrices.